The ultimate proving grounds of the world’s fittest athletes. 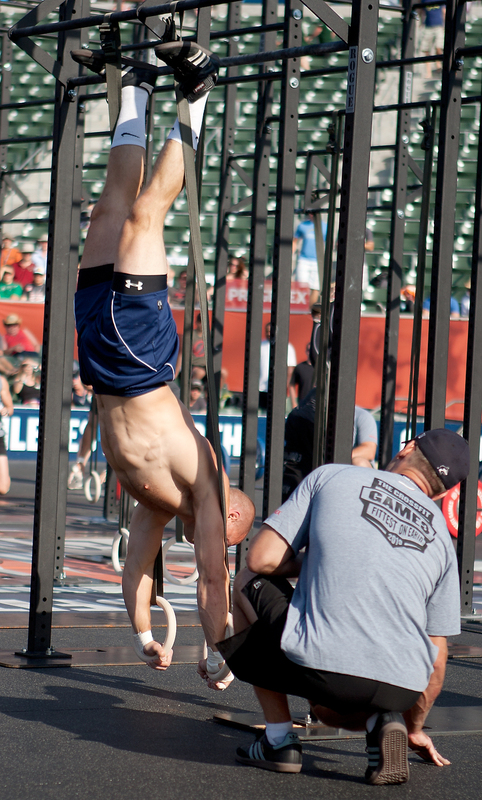 The 2010 Games free webcast: watch the archives and relive the event at live.crossfit.com. Moe Kelsey first came into the CrossFit community's spotlight with his third place finish at the 2009 CrossFit Games. A 14th place result in 2010 cemented his reputation as a consistent top performer. At 6'2 and 225 lbs., Moe's build is unusual for an elite CrossFitter. His training is also uncommon for competitive CrossFit athletes. This September, Moe ran the Bellingham Bay Marathon in 3:37 after only 9 weeks of training for it via CrossFit Endurance. Besides the marathon, Moe has competed in endurance sports for several years. He's focused mostly on sprint and olympic distance triathlons. The games competitor has never competed in an Ironman triathlon (2.4 mile swim, 112 mile bike, 26.2 mile run), though he would "love to" in the future. Since the marathon in September, Moe has worked on regaining his strength and power. Unlike many CrossFitters though, Moe very rarely maxes out his lifts. He has found that he often gets injured when he maxes out frequently. Moe has also experimented with the ultra high volume program Sealfit, including a 3 month period in early 2010 when he used it four to five days a week. After a successful shot at Sealfit's Kokoro Camp in March 2010, Moe returned to a mostly lower volume of training. He's found that he has to modulate his volume to make sure that he doesn't become overtrained or injured. Moe still "peppers in" a Sealfit workout once in a while, however. For his other training, Moe draws from CrossFit.com and Rob Orlando's training as sources of inspiration, in addition to making up a lot of his own workouts. Moe considers endurance to be a critical aspect of fitness. In his own words, "you gotta go long." In order to test this capacity, Moe thinks that the Games should include at least one event longer than 20 minutes. His training, though, is geared towards developing all components of fitness. At the CrossFit Games, "you just don't know what's coming, so you have to work on everything." 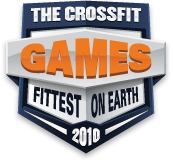 For more information on how to sponsor the CrossFit Games, see the sponsorship page. Copyright © 2010 CrossFit, Inc. All Rights Reserved. CrossFit is a registered trademark ® of CrossFit, Inc.